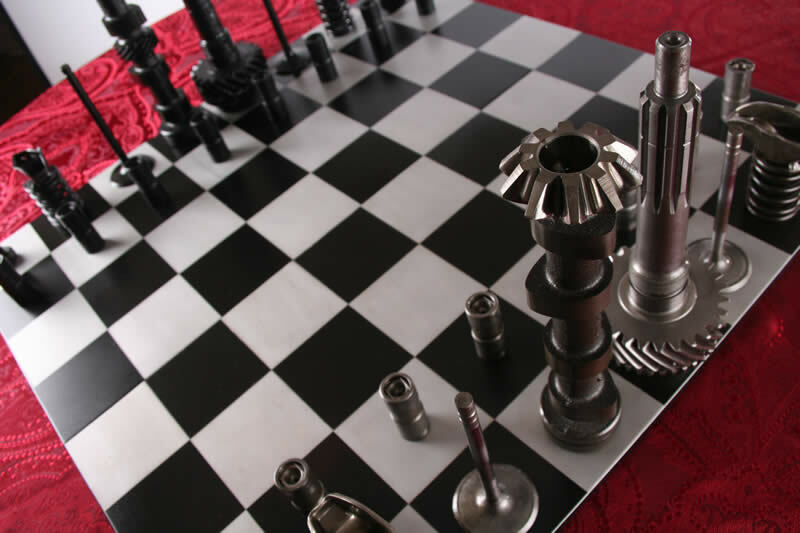 Here's a cool project we played around with in our spare time and finally finished. 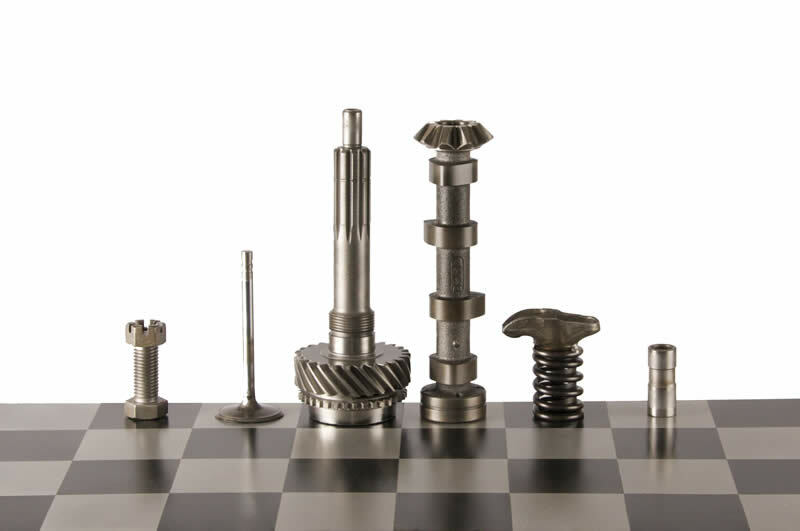 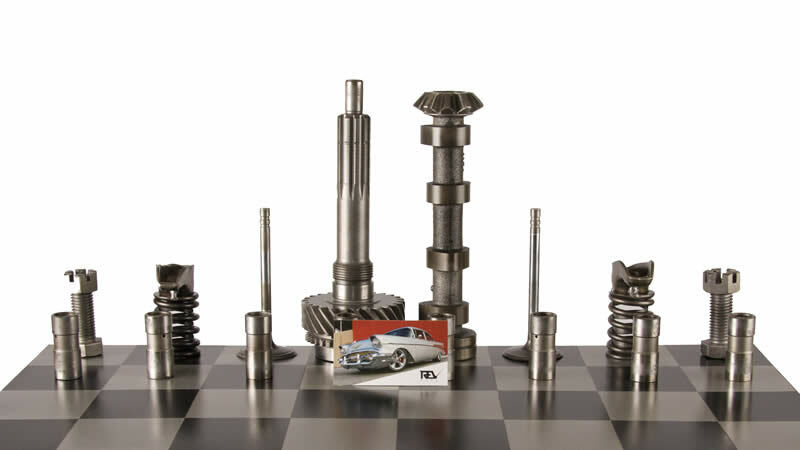 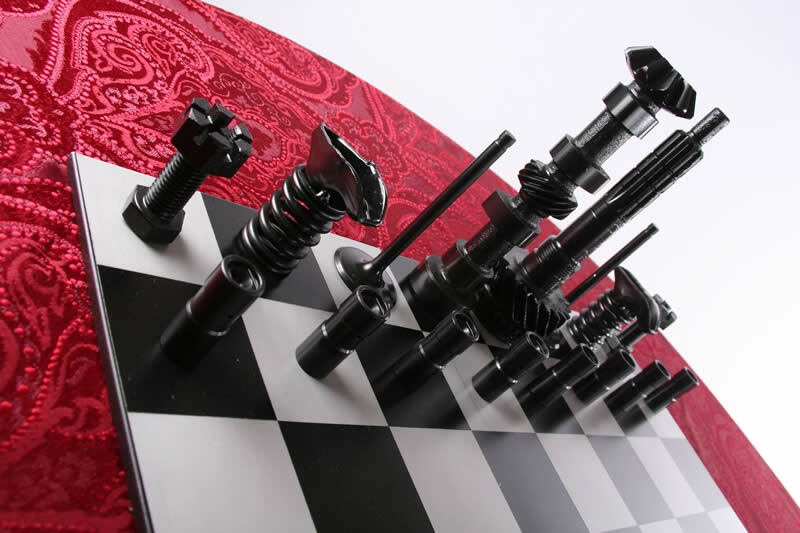 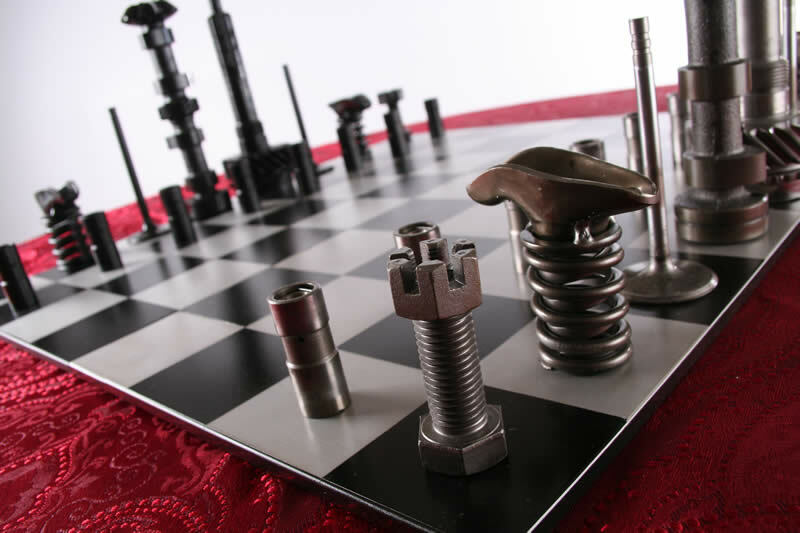 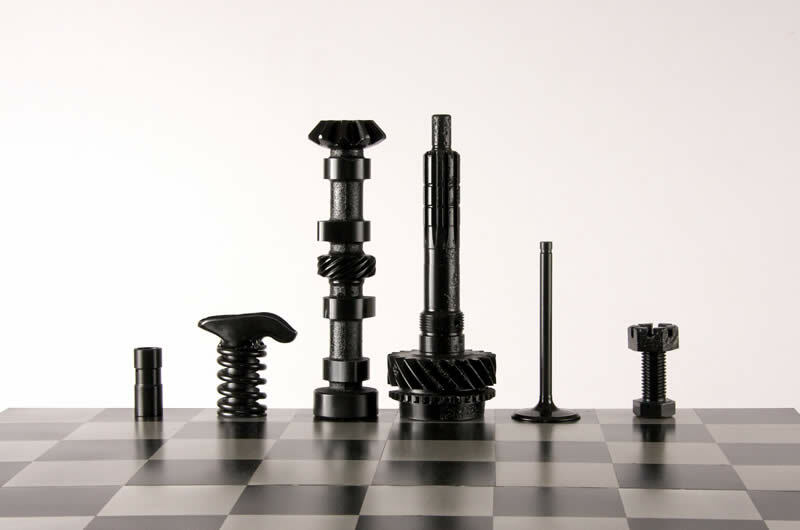 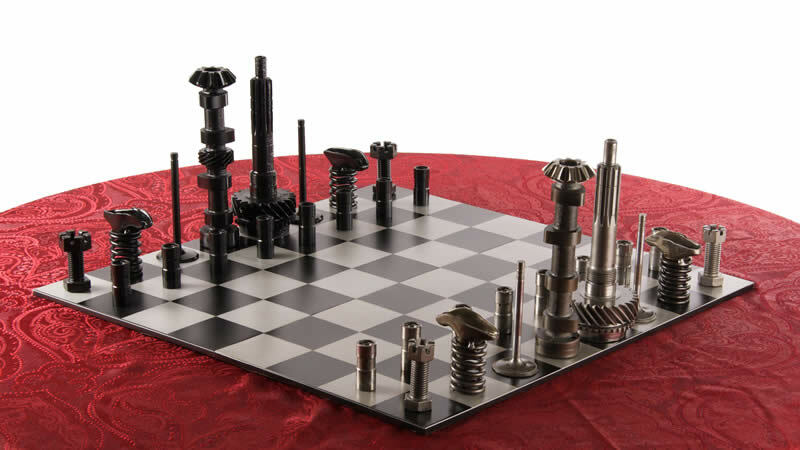 It's a chess set built out of used engine and transmission parts. 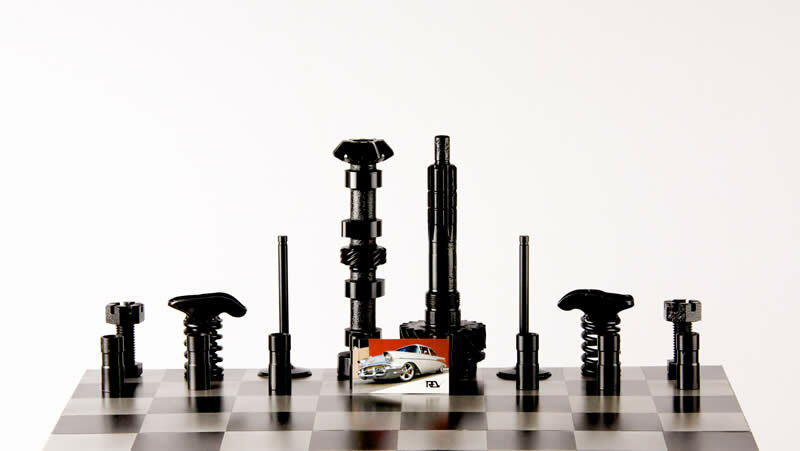 We have discontinued production of the High Octane Chess Set.